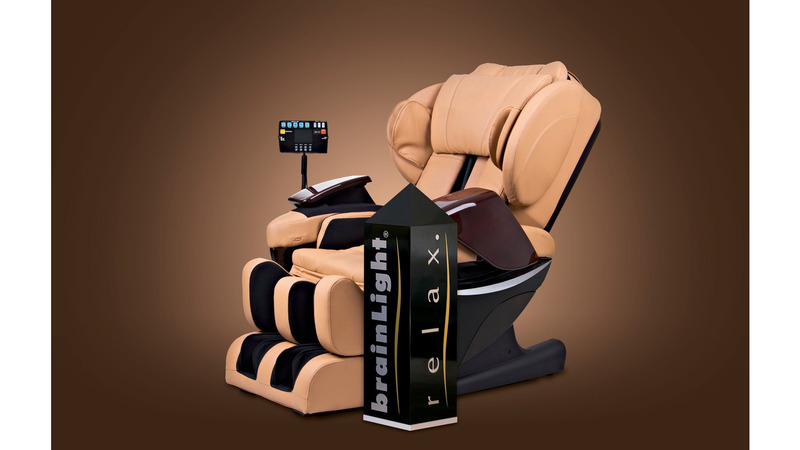 If you would like to treat yourself to a break from stress and your everyday life, we recommend the brainLight relaxTower. Your Shiatsu massage chair starts out with a releasing massage, while you listen to beautiful, relaxing music. After a few minutes, the chair reclines and the brainLight-session begins. A pleasant voice guides you into a state of deep relaxation and at the same time light impulses create magical colours, shapes and patterns in front of your inner eye. The session is concluded with a gentle wake-up massage to help you master your challenges in a fit and balanced state of mind and body. - An experience of pure and holistic wellbeing.